We've been meaning to go to Felt for a long time but as things happen, we just never got around to it - that is until tonight. Felt is located within the Hotel Lindrum, a building I've always admired and view as one of the prettier buildings in the city. As we peruse the menu, we enjoy glasses of NV Charles Joubert. Deciding on a wine to have with our meal proved to be a little difficult as our uncanny ability to pick the wines that aren't in stock struck again. We did eventually find a very pleasant Chianti Classico to have. The walnuts were quite the eye-opening experience - I'd expected them to be fairly dense and crunchy but these were light and crisp, a texture that came as a complete surprise. 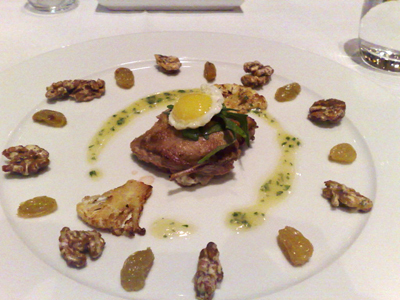 The quail was flavoursome, served pink and topped with a lovely runny quail egg. 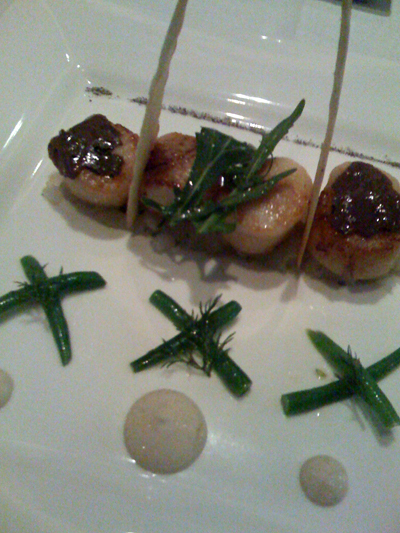 Slices of Italian truffle topped the scallops - cooked perfectly to retain that translucent interior. 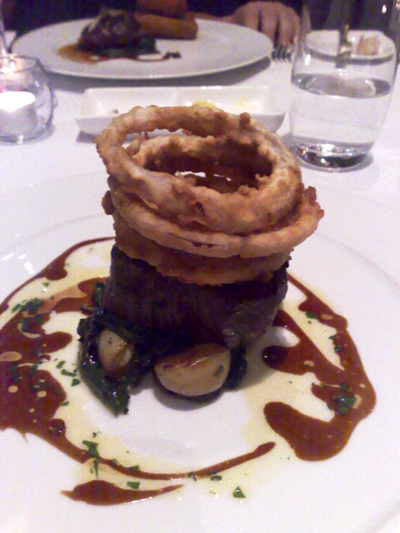 A lovely piece of eye fillet - cooked rare - it was extremely tender. 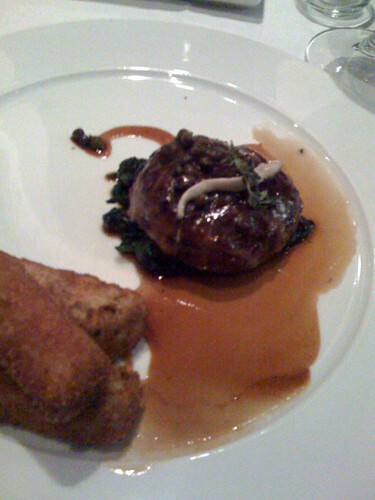 The onions rings were light and crisp and are more than equal to Rockpool's version. Tender, with a rich lamb flavour - the meat just fell apart. An excellent dish for lamb lovers. 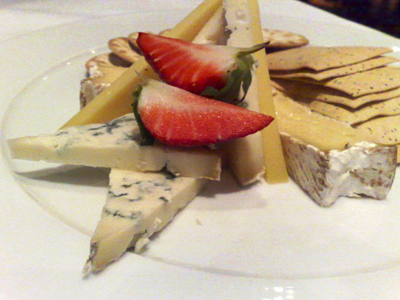 As we're not in a dessert mood, we forgo that option and indulge in a good platter of cheese.